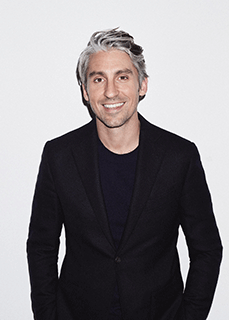 Ahead of next month’s Virgin Money London Marathon, Your Healthy Living caught up with The Body Coach, Joe Wicks, and presenter George Lamb to find out about their new marathon training podcast which is available through Audible. Taking place over 18 weeks, Mo-Joe will follow George’s progress as he is coached through his marathon training by Joe, along with four times Olympic champion Mo Farah, in preparation for the big event on 22 April. When you take on the challenge of a marathon it’s an amazing physical thing to take on, but you’ve also got to give time and attention to your recovery and your nutrition. When you’re increasing the amount of exercise you’re doing, the key is to get the right combination of good fats, protein and carbohydrates. If you are doing a lot of exercise, it’s important to have some healthy fat sources like avocados, nuts and seeds – things that you can snack on instead of eating things like crisps or chocolate. Healthy fats are a really good source of energy. It’s also important to have lots of green vegetables in your diet, like spinach, broccoli and kale. My philosophy is more about healthy eating and balance in general rather than avoiding certain foods or cutting things out of your diet. If you’re someone who goes running in the morning, then overnight oats are a great breakfast option. You can soak them overnight with some almond milk, banana, cocoa powder and whey protein. Then you can add some cashew nuts, berries and honey, so you’re getting fats, protein and carbohydrates in one meal. Stir fries are a really quick and simple option for lunch or dinner. You can make them with chicken or fish and eat them hot or cold the next day. Some people like to use things like energy gels to fuel their long runs but I’m not a big fan of them. A great recipe is energy balls made from ground almonds, chia seeds, oats, cacao nibs and peanut butter. You roll them up into balls with some desiccated coconut. They’re a good snack to take with you on a run. The main thing the body needs after exercise is protein as that forms the building blocks of everything in the body. Some good options include salmon, cod, prawns, chicken or eggs. Team one of those with a carbohydrate like rice, noodles or pasta, and make sure to add in some flavours. You could use things like coconut milk, curry paste, chopped tomatoes and herbs, to add flavour. People assume that the only way to do long distance running is to just go out and do lots of running, but you shouldn’t neglect the other important things which are flexibility and mobility. Be sure to do some dynamic hip-opening exercises before you go running and when you come back make sure you do plenty of stretching and foam rolling. Strength training is important too. In addition to your cardiovascular endurance you need to have muscular endurance. Good exercises to do include squats and lunges, which are really going to build your lower body strength. Also make sure you add in some high intensity stuff to your running routine. Running on the flat is fine, but when you start running on inclines that’s when you really build your strength and endurance. People talk about hitting the wall during a marathon, but when you are struggling just remember why you are doing it, think of all the training you’ve done and think of the sense of achievement you’re going to have afterwards. I used to run regularly for the best part of 10 years, but I fell out of love with it about two years ago. I’ve decided to train for the London marathon this year because I’d started to feel sluggish and that’s not a good feeling. I’ve never been an elite athlete but I’ve always felt pretty light and bouncy and I want to rekindle that love affair with fitness. I’ve got the dream team helping me with my training, with Mo Farah and Joe Wicks, and I’ve also been interviewing people like James Cracknell and Kelly Holmes for the podcast. Getting to talk to people like that, and having them there as a support network, is amazing. The main advice that I’ve been given across the board, from everybody, is that it’s all in your head. It’s good advice for life really. You have to decide what you want, and then you have to just pig-headedly go after it. I’ve always been a healthy eater but now I’m thinking more from an energetic perspective rather than just having a balanced diet. I went pescetarian at the beginning of last year and I’ve started eating more carbs if I have a long run coming up the next day. The difficult thing is fighting off the cake! I’m a sugar addict but I’m really trying to cut down. I always try to start my mornings with a green smoothie which I make with coconut water, hemp seeds, nuts, spinach and oats. For lunch I might have a salad with lots of veggies and hummus, and for dinner I might have a bit of fish and vegetables. But I do have a few sneaky sweets here and there! One of my favourite recipes is fish with a herb crust and asparagus, which is absolutely delicious and super quick to make. In addition to the running I do a bit of Pilates, a bit of yoga and some HIIT (high intensity interval training), which is what Joe advocates. In terms of recovery, I’ve been having a lot of magnesium baths, and I also make sure to do some foam rolling as that helps my muscles. I’m really looking forward to the day itself and getting caught up in the buzz and the energy. I’m least looking forward to the last hour of the marathon where you have to dig deep and find out what you’re all about. But these things are good in life. It’s good to have these challenges.